Principal dancer Sonia Rodriguez as Cinderella. 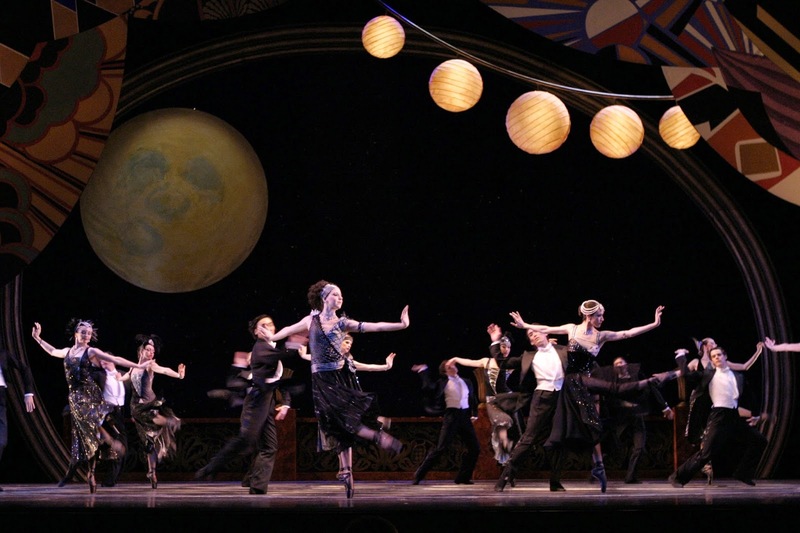 Sonia Rodriguez with Artists of the Ballet in Cinderella. 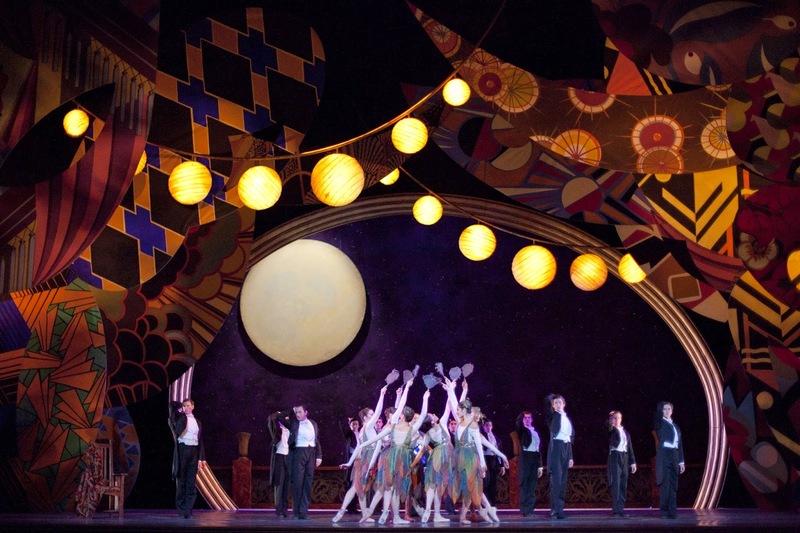 Artists of the Ballet in Cinderella. 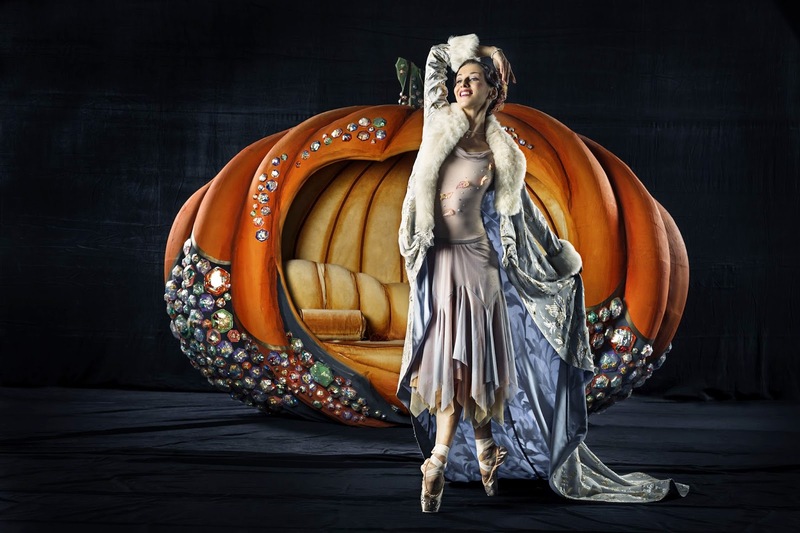 From June 4th to the 15th at the Four Seasons Centre for the Performing Arts here in Toronto, the National Ballet of Canada will be performing James Kudelka’s Cinderella. For this performance, set and costume designer David Boechler looked to the 1920s to create a ball for Prince Charming filled with the glamour and decadence of the era. The women wear Erté-inspired drop waisted flapper dresses, drip with gems, and wear their hair in pincurls. 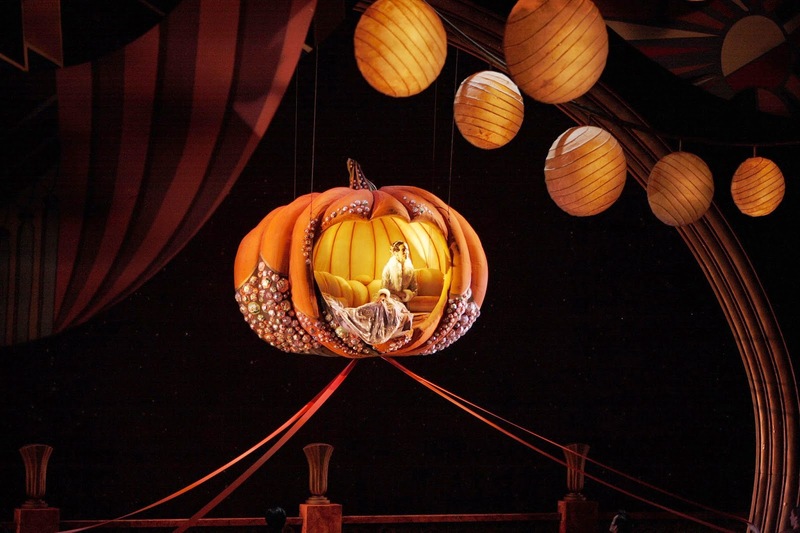 Cinderella herself makes her appearance at the ball in a jewelled pumpkin, covered in a silk cape lined with fur (see my last National Ballet post for tips on getting tickets!). 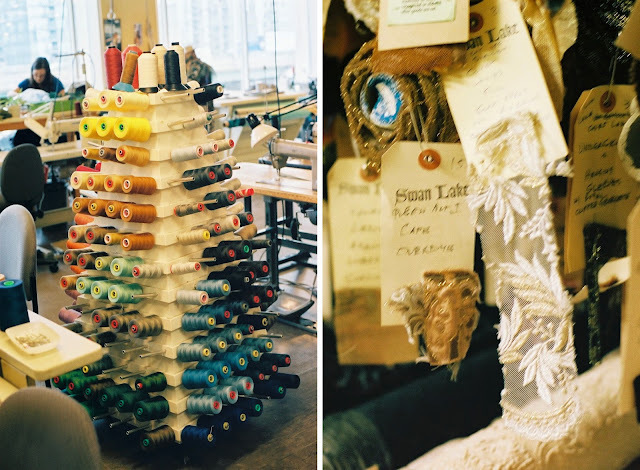 To celebrate Cinderella and to get up close and personal with the costumes, I was invited to take a tour of the Ballet’s costume department, which was really exciting. My friend Grant Heaps, wardrobe coordinator for the Ballet, lead me around as I goggled in a state of wonder (here is a fun video of Grant demonstrating how to wash a delicate tutu). I saw fabric being dyed, Swarovski crystals being applied to pointe shoes, endless amounts of tulle, and costume sketches covering the walls. I even briefly met Karen Kain in the pointe shoe room! Of course I was struck a bit speechless. I also caught a little bit of rehearsals of Spectre de la Rose, which was truly so special. Definitely not every day that I can do something like that! I took some pictures to share with you. The pointe shoe room. Each cubby contains custom-made shoes for each dancer. Grant showed me how the dancers each take the shoes and customize them in different ways; some shave leather from the sole, some reinforce the toe with cording, some break the insole. On the left is the gown Cinderella wears to the ball, and on the right is Grant showing me a pretty cotton tutu from the ballet Nijinsky, reminiscent of the tutu worn in Degas’ ballerina sculpture. This is the tutu that was created for Karen Kain as Aurora in 1972 for the production of The Sleeping Beauty by Rudolf Nureyev, who nicknamed her and dance partner Frank Augustyn “The Gold-Dust Twins” (quite possibly the most beautiful epithet I have ever heard). Wow, I like your pictures of 'behind the stage'. It all looks so surreal and dreamy. stunning images!! I saw the Cinderella production a couple year sago and loved it- the 1920 vibe was so lovely, and it's really the prettiest production I've ever seen. Even more so than Swan Lake. Oh, wow! I loved seeing these behind-the-scenes pictures, thank you. So beautiful I can hardly stand it! And I love the idea of a 1920s-mood Cinderella. All those pointe shoes and tutus, swooooon. Great piece and great pictures.